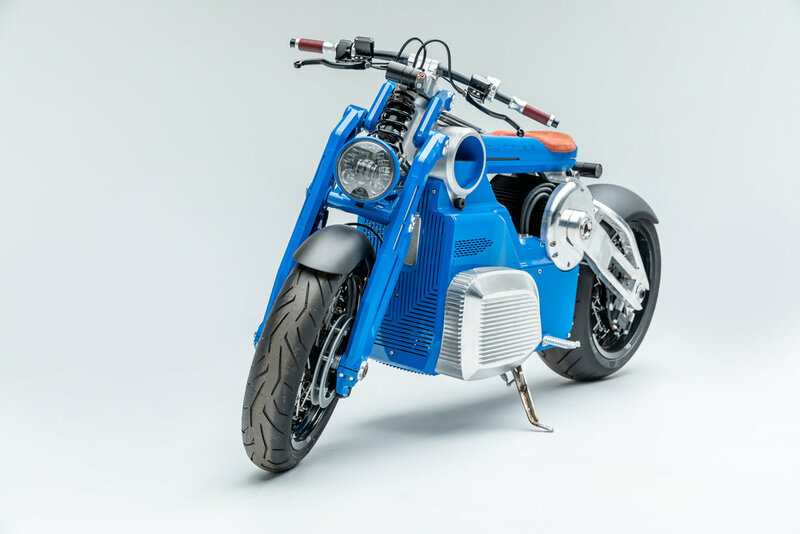 Matt Chambers founded the Curtiss Motorcycle Co in 2017 in a pivot to electric bikes from his former Confederate brand, carrying a heavy-duty design aesthetic into new tech. Chambers broke design rules with his Confederates, and “Zeus” manages to maintain brand identity while wrestling with new questions. Chief designer Jordan Cornille invented a unique architecture to arrange the batteries and ‘e-twin’ motors, creating a retro-futuristic aesthetic in milled aluminum. It’s a bold design, implying strength and speed, and a strong break with the past.